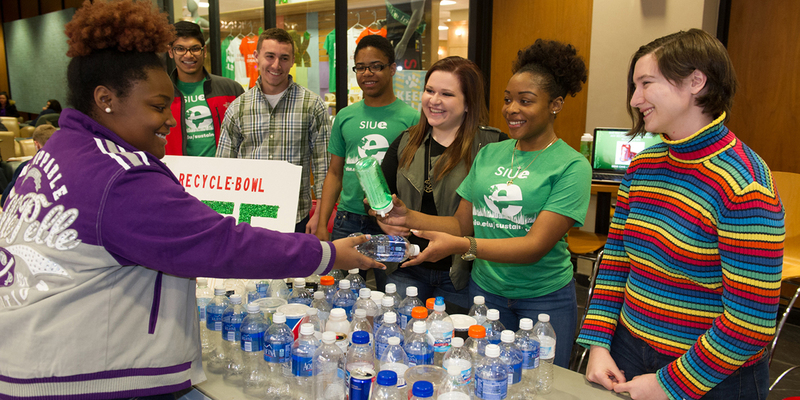 Sustainability at SIUE Facebook page. The Natural Step Framework is a foundation for many sustainability programs in the United States and around the world. This science-based process has been tested and proven by forward thinking organizations for nearly two decades. The mission of 350.org is "to inspire the world to rise to the challenge of the climate crisis-to create a new sense of urgency and of possibility for our planet." Oct. 24 is International Climate Day of Action. Madison County Transit Bikeway, with more than 100 miles of trails, travels through the SIUE campus. Higher Education Associations Sustainability Consortium (HEASC) is an informal network of higher education associations with a commitment to advancing sustainability within their constituencies and within the system of higher education itself. Second Nature's mission is to accelerate movement toward a sustainable future by serving and supporting senior college and university leaders in making healthy, just, and sustainable living the foundation of all learning and practice in higher education. The Ponderosa Project at Northern Arizona University (NAU) is an interdisciplinary faculty group effort to incorporate environmental sustainability issues into university courses, with the ultimate goal of providing future citizens the education and skills necessary to achieve sustainable communities and societies. Environmental sustainability is defined as the wise and just use of natural resources to maintain Earth's natural cycles while meeting human basic needs and protecting resources for future generations. The Sustainable Campus is a website dedicated to promoting sustainable campuses throughout the world. "Learning How to Die in the Anthropocene," New York Times Opinionator, by Roy Scranton. Worldwatch Institute, according to its website, "...focuses on the 21st-century challenges of climate change, resource degradation, population growth, and poverty by developing and disseminating solid data and innovative strategies for achieving a sustainable society." New American Dream "The Center for a New American Dream helps Americans consume responsibly to protect the environment, enhance quality of life, and promote social justice." The Post Growth Institute "Creating global prosperity without economic growth."